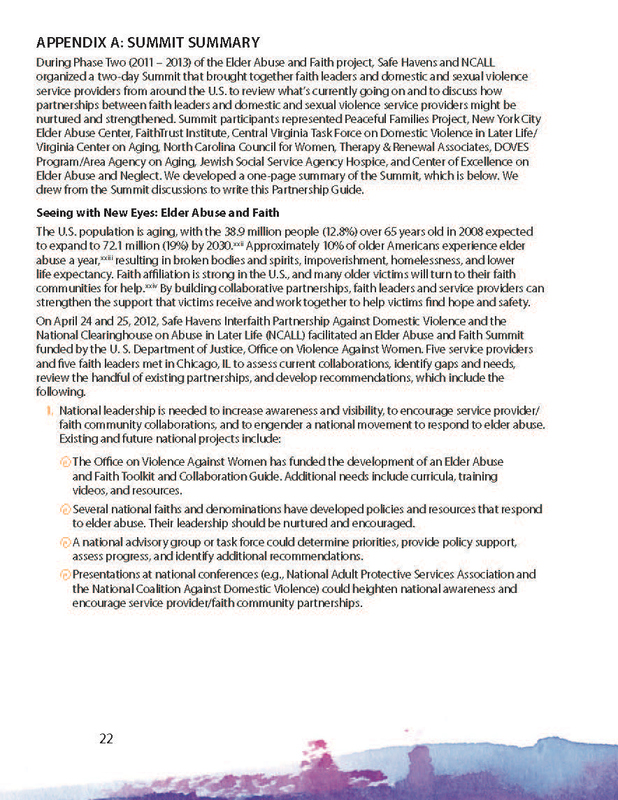 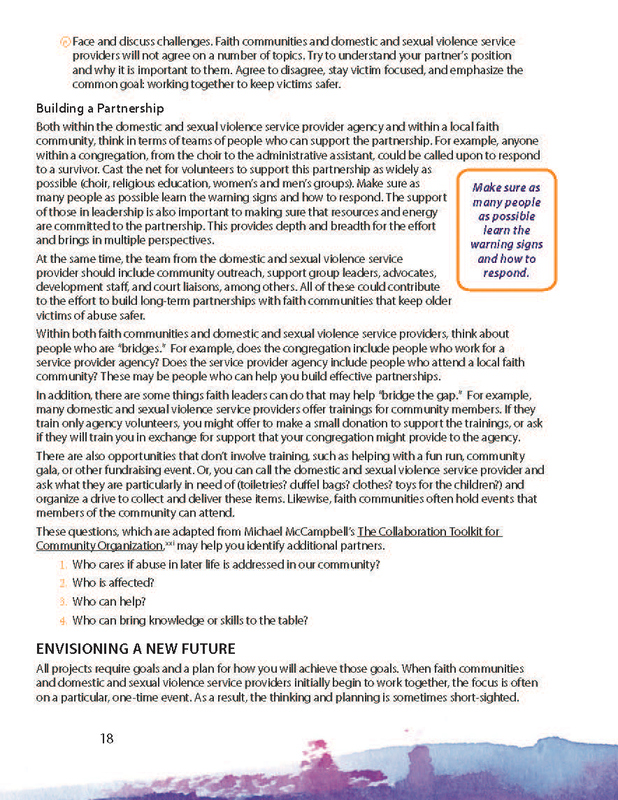 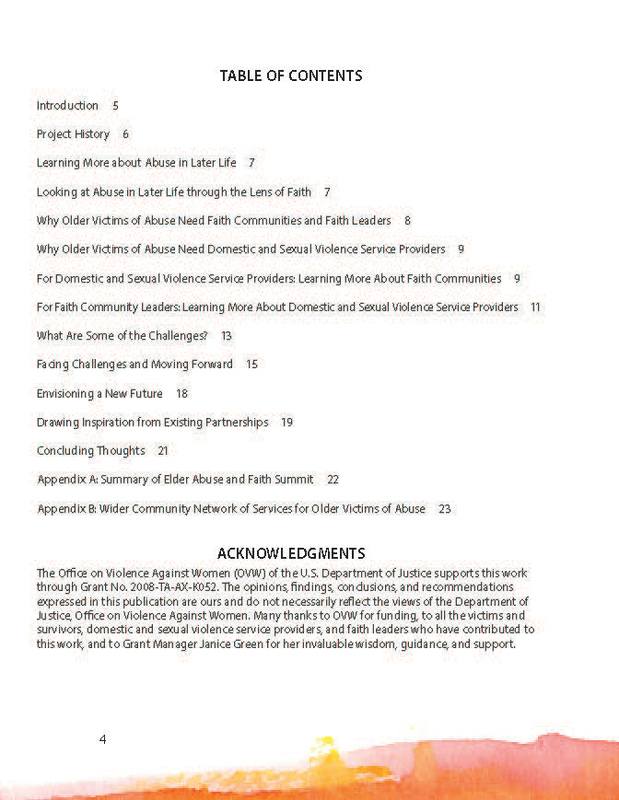 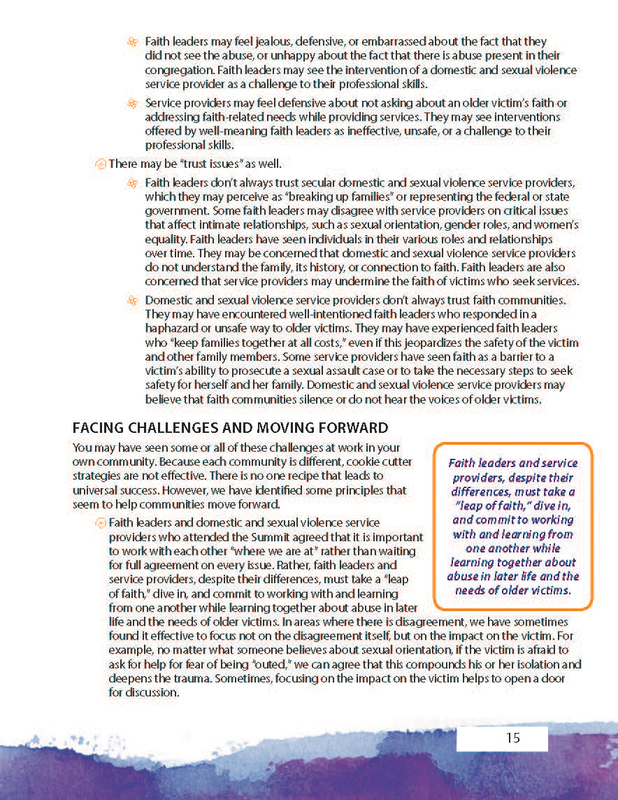 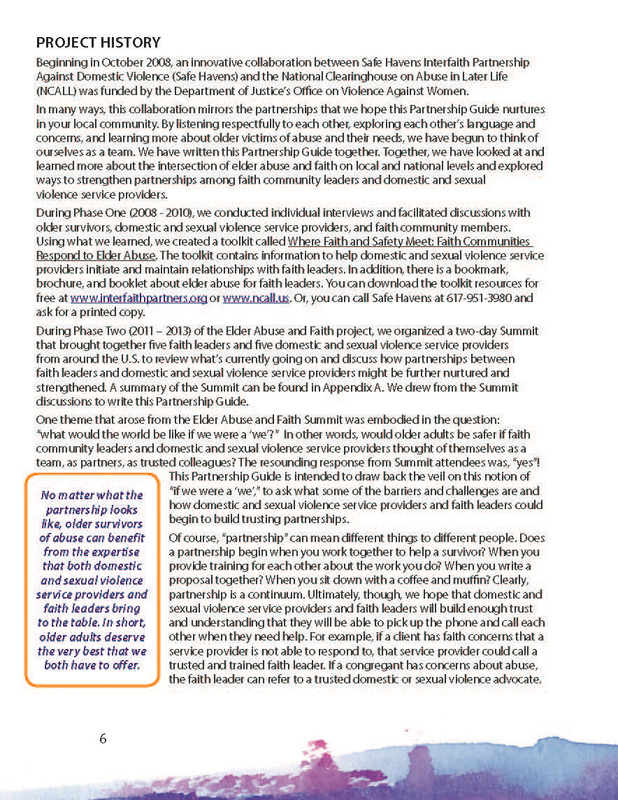 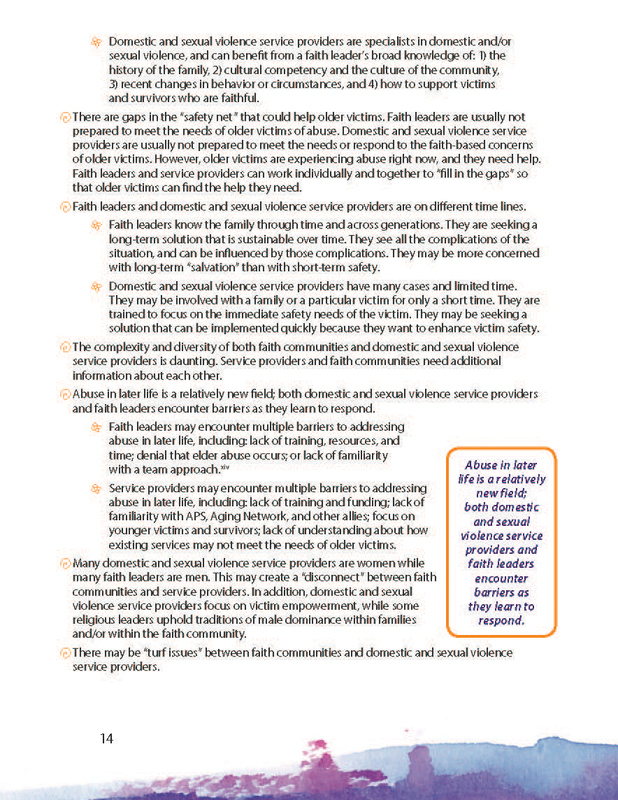 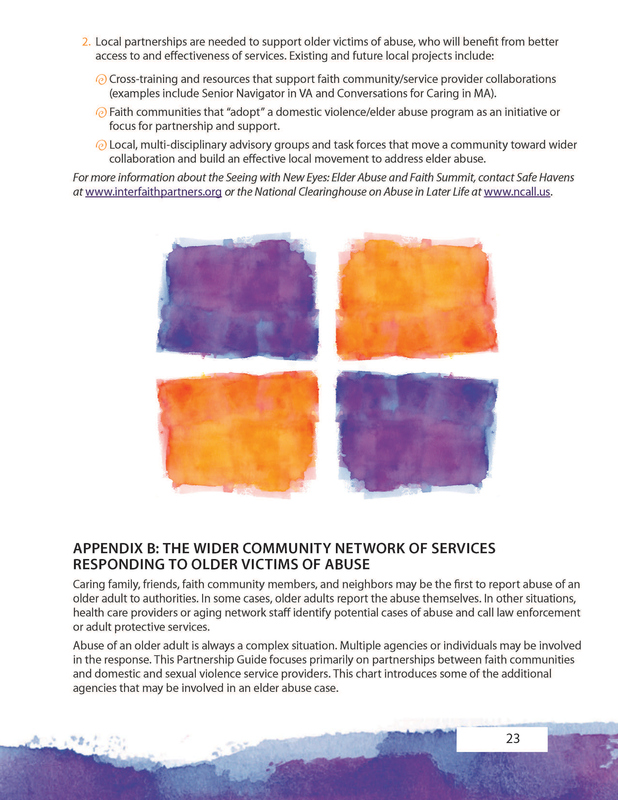 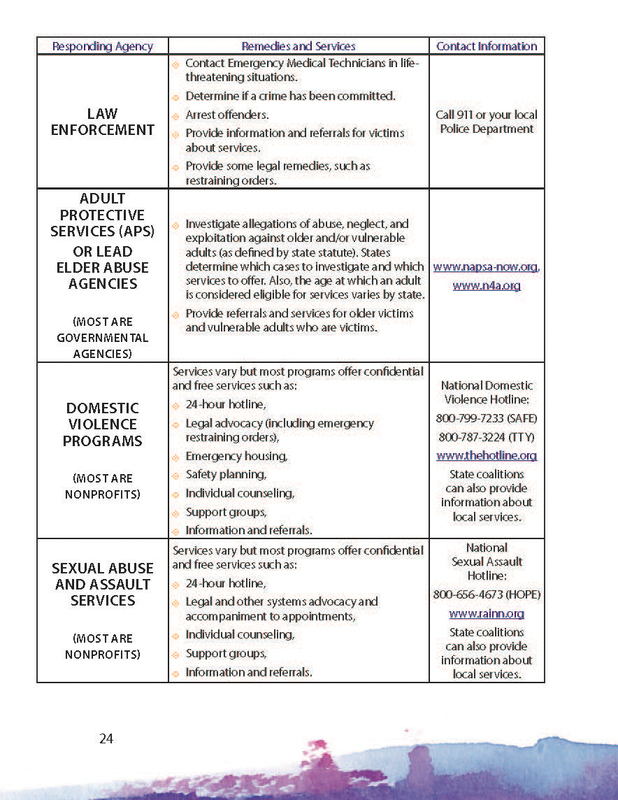 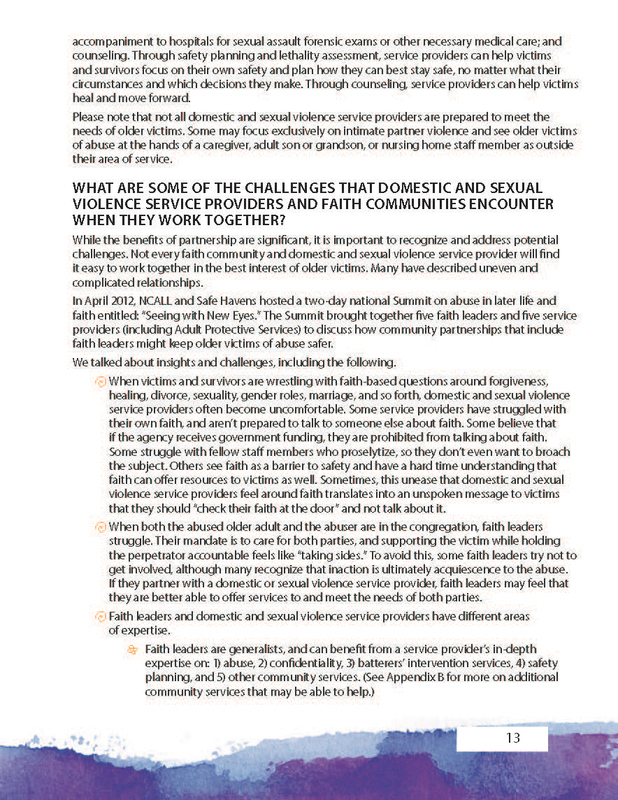 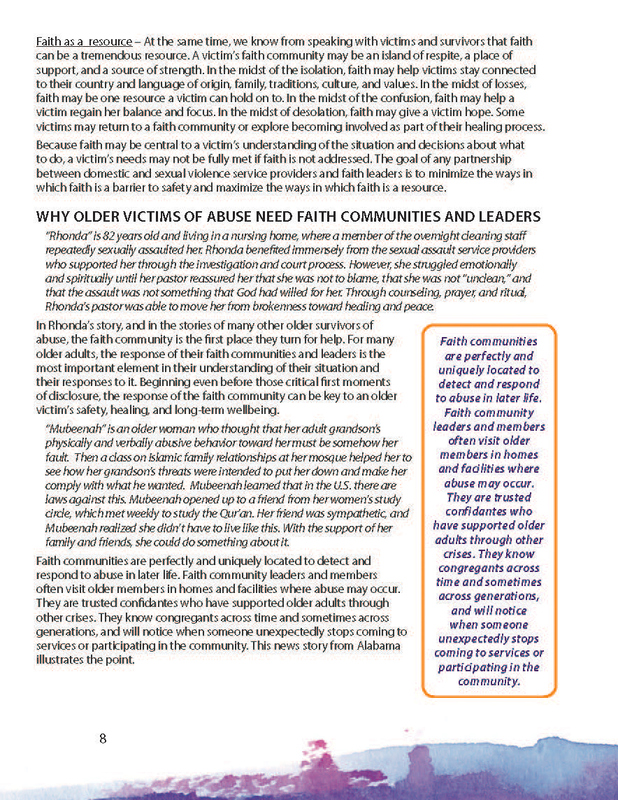 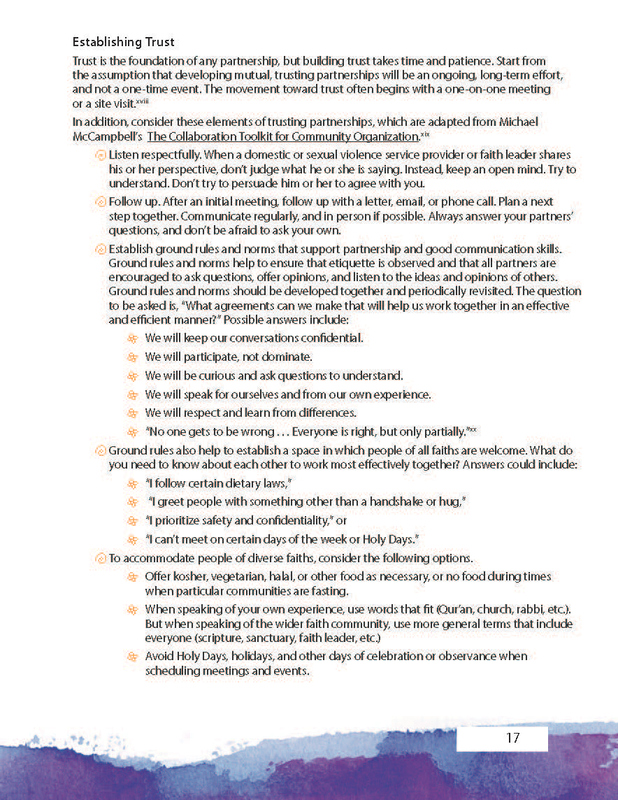 This is a booklet that went to faith leaders of all denominations on how to deal with Domestic Violence within their faith communities. 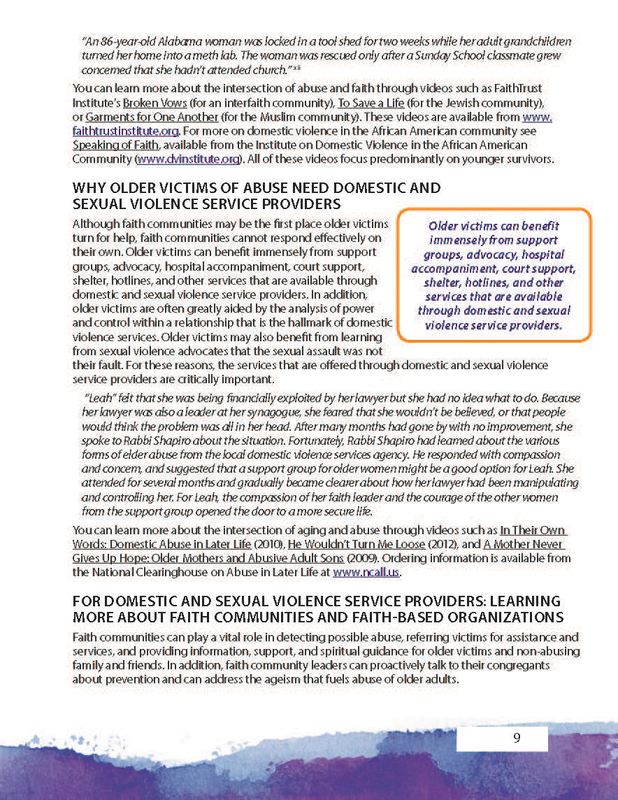 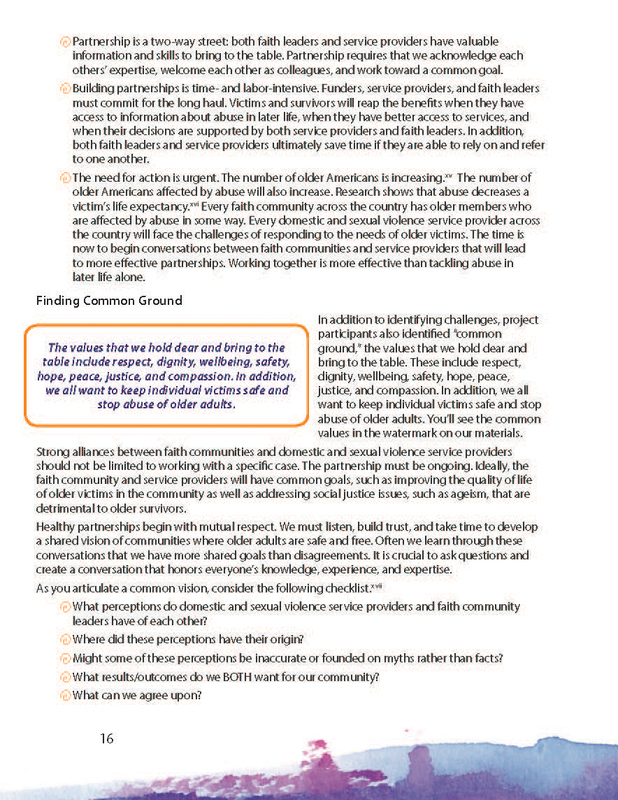 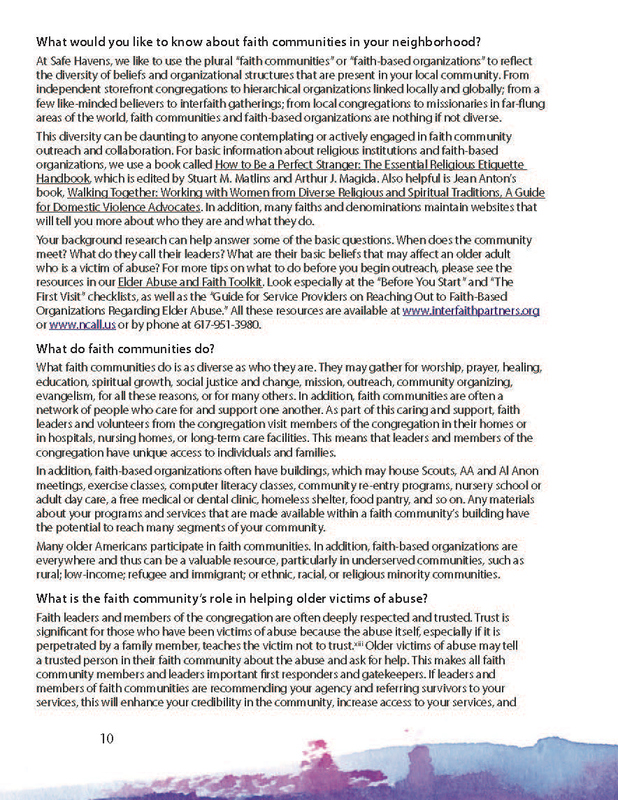 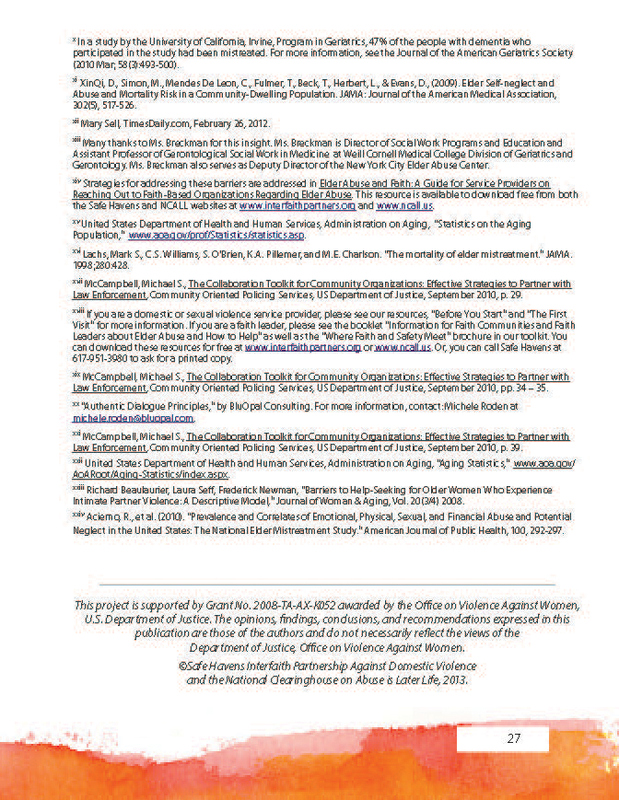 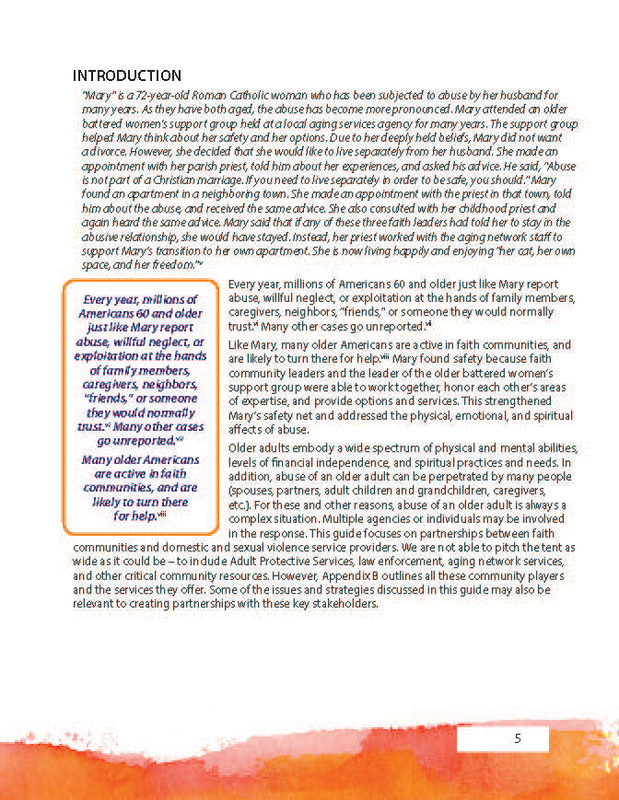 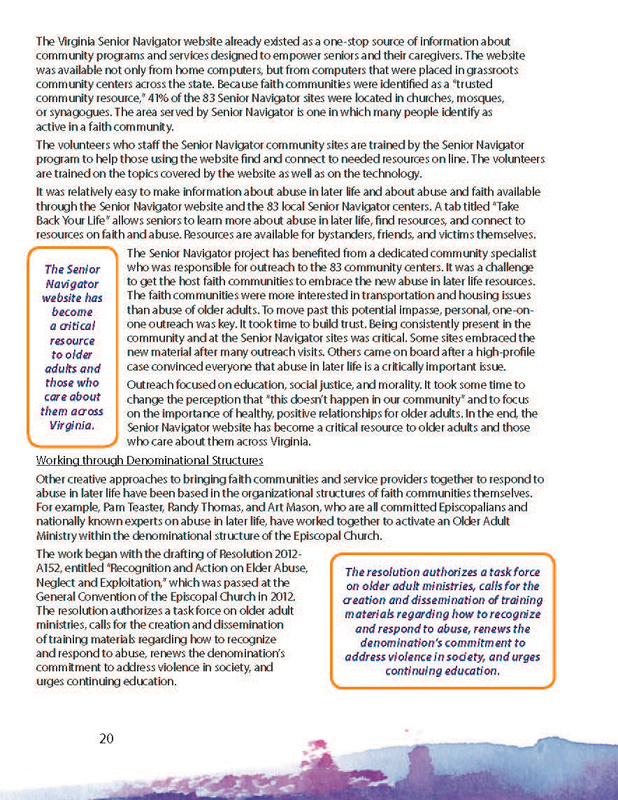 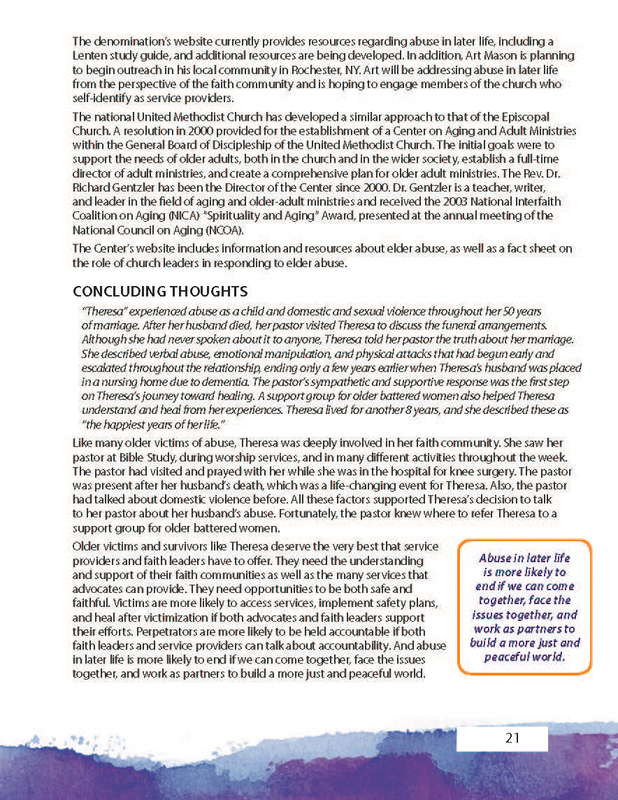 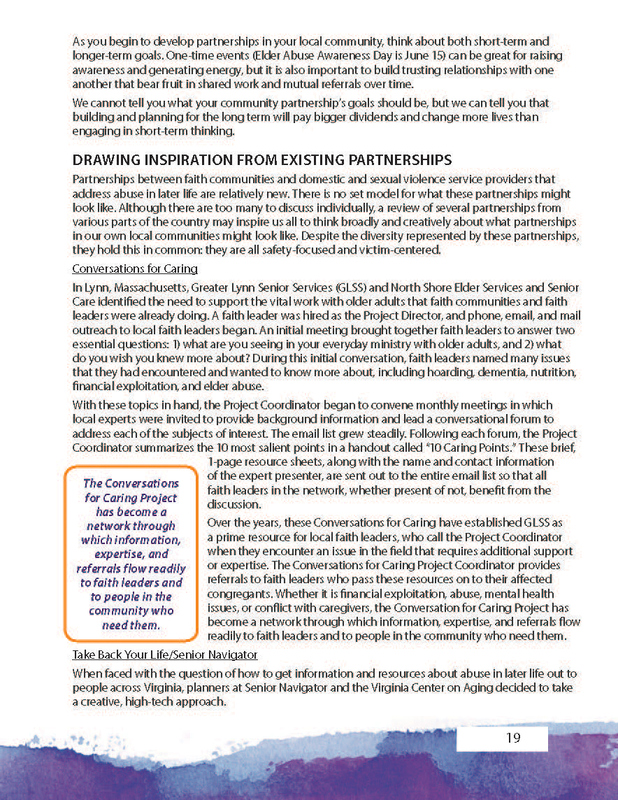 This is part of a large packet of information that includes multiple fact sheets for both clergy and congregants, bookmark, folder. 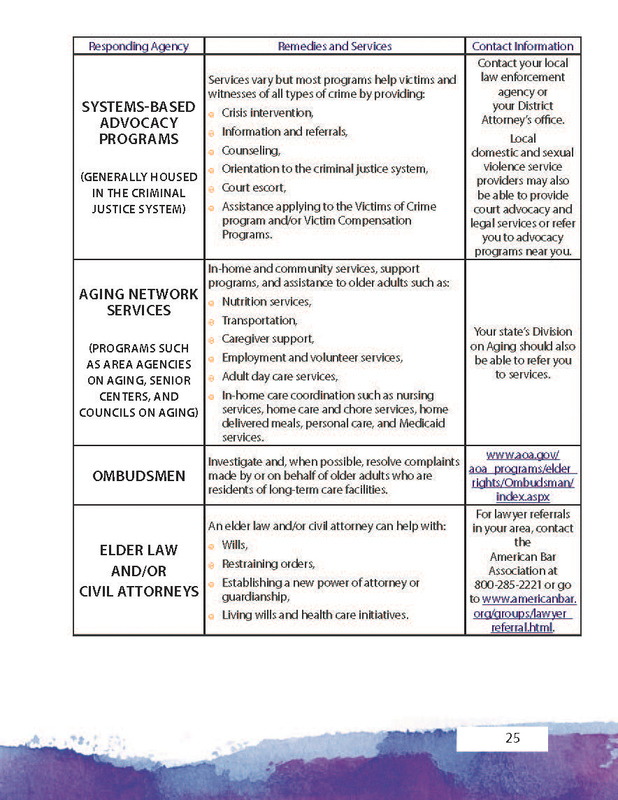 It was challenging to meet the department of Justice guidelines for accessibility. 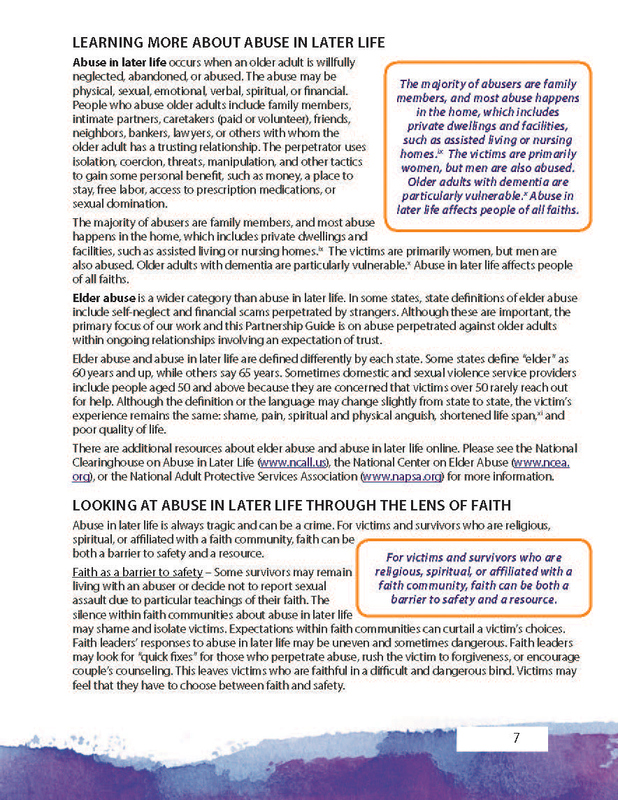 Many of the original, groovy graphic elements had to be changed to a white background with black text for accessibility. 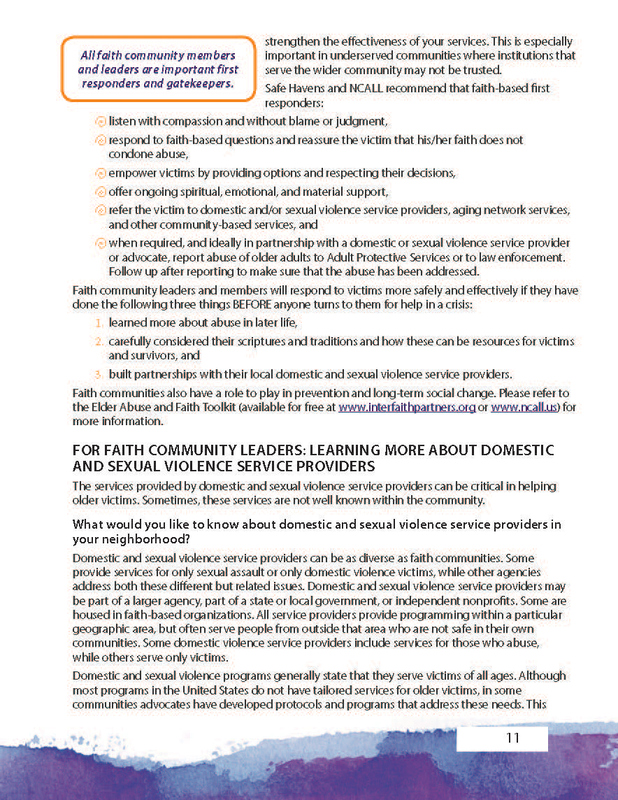 All fonts had to be at least 12pt. 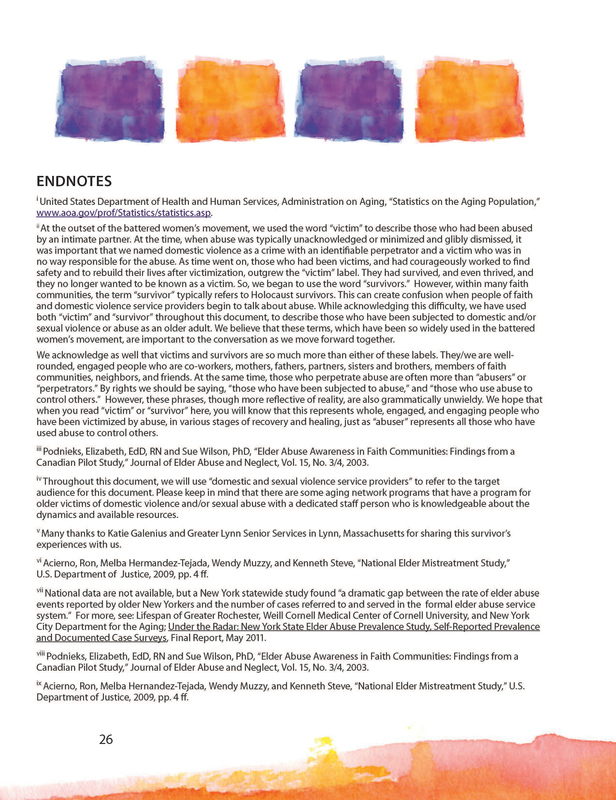 So color and visual interest had to be placed around the text elements. 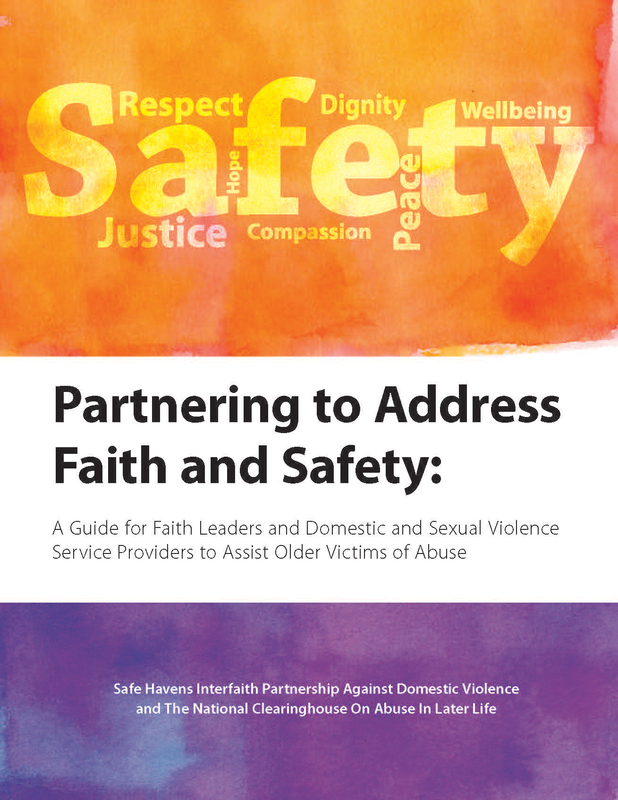 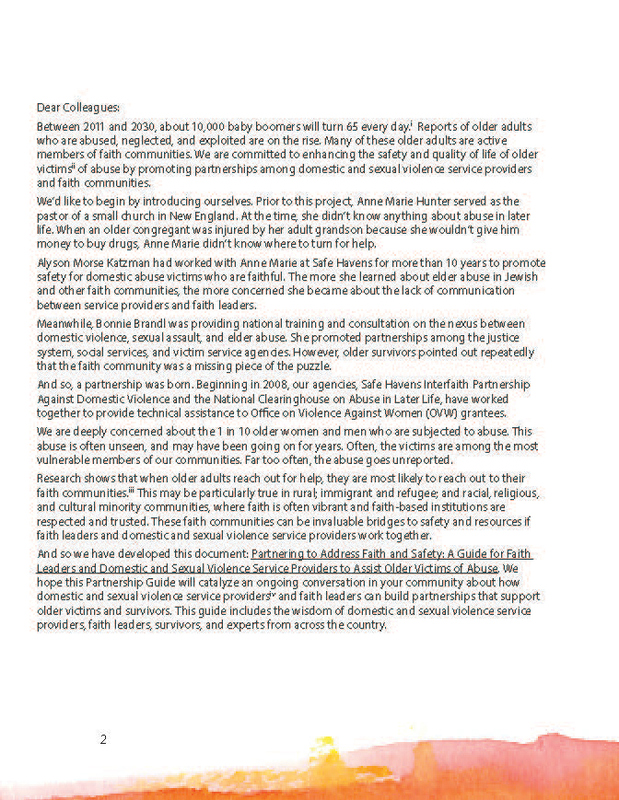 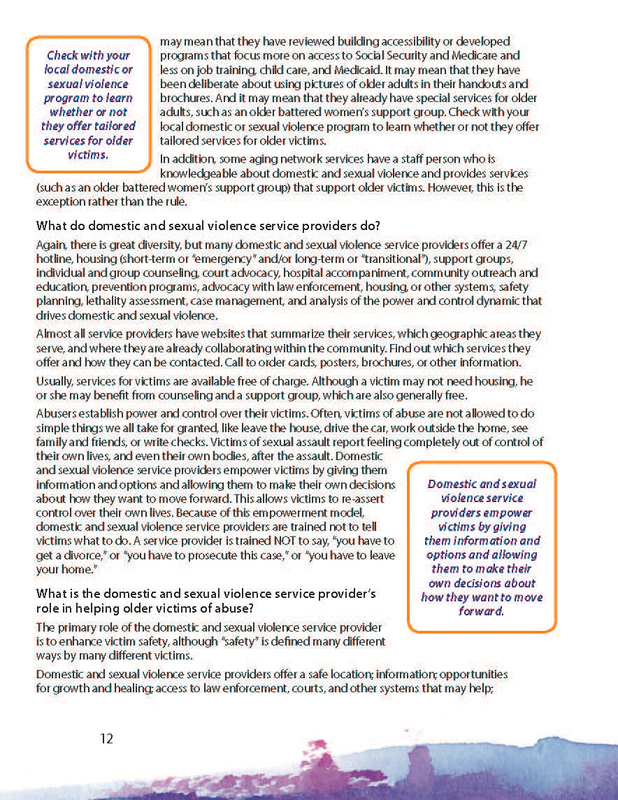 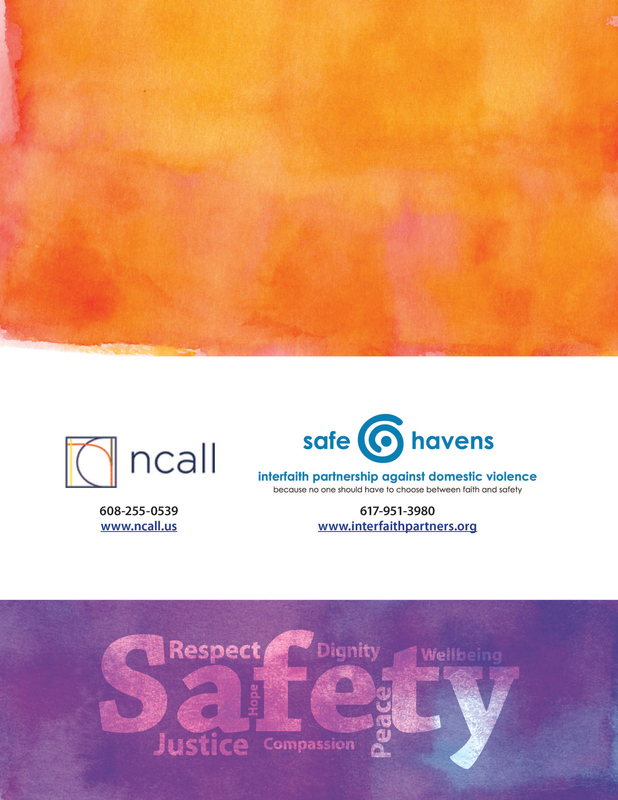 This project was done for Safe Havens Interfaith Partnership Against Domestic Violence.